Having a cabin in the woods has given us the opportunity to explore many different areas of the Smoky Mountains. 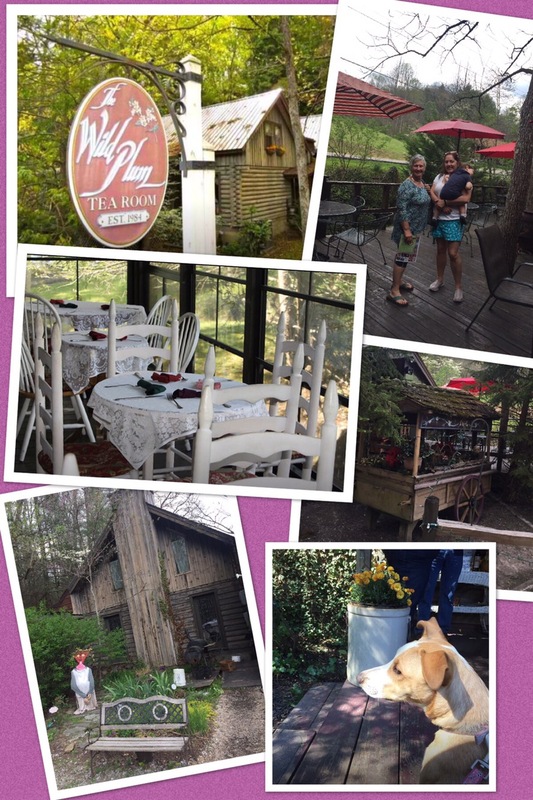 Last weekend my daughter, Heather, and my friend, Barbara Johnson, and I took off down many winding and curvy back roads in search of a tea room we heard of. We went past an old antebellum white home on the left and a field on the right where seven buffalo were grazing. We found an Irish Pub at the foot of a mountain and an area where real craftsmen were working at their trade. At one point we saw an impressive golf course that is open to the public if anyone is lucky enough to find it. With spring in the air, the trees are budding and the fields are filled with little wild flowers. Oh, and yes, we did find the Tea Room. It’s called The Wild Plum Tea Room. You feel like you’ve stepped back in time thanks to all the antique furnishings and little tea pots with cups and saucers around you. We sat at a cozy little table and were handed our menus. To our surprise and delight, even as country as this restaurant felt, the food choices were very classic. And when our lunches were served everything was superb. From the wild plum preserves served with ginger muffins as an appetizer, to the perfectly grilled tuna nestled on a bed of sautéed spinach, the experience was excellent. Plum tea is offered hot or cold with your meal and, for a delightful finishing touch, many fancy desserts were available. So, next time you are “in the area” be sure to search out this peaceful and delicious Tea Room. When I first moved south and became a member of the Crowley clan I was introduced to tailgating at the University of Georgia’s football games. Althrough I can’t tell you much about what’s going on on the football field, I can tell you how tasty the dishes were that my sister in law fixed. 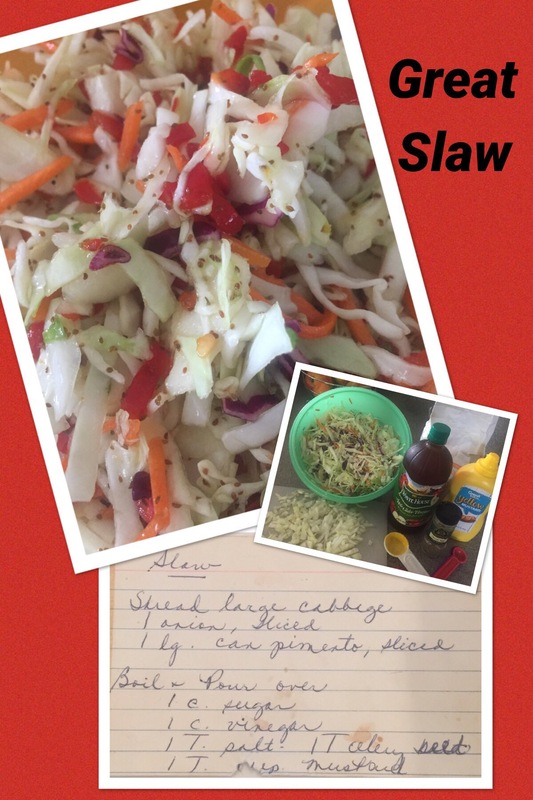 This slaw recipe is great with barbecue but also good on cold cut sandwiches. To speed up the process you can purchase the cabbage in bags already cut up.